Google and LG’s Nexus 4 made quite a splash when it debuted in the Google Play Store on Nov. 13. The device was so well received that it sold out within minutes in the US and the UK. Although the holiday season has passed, it still seems to fluctuate in and out of Google’s inventory. Now, it seems that LG may be releasing a slightly altered version of the widely received addition to the Nexus family. 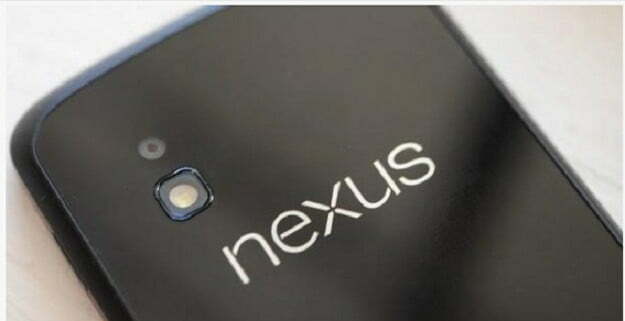 An image of the Nexus 4 without its sparkled glittery back has surfaced on mobile news blog Auto-oMobile. Although the rear body appears to be missing its speckled design, it seems to uphold the same glass build. It’s important to keep in mind that since this information has not come directly from Google or LG, it must be considered rumor. The photo could easily be a mockup created by any Internet user, and the website does not specify where the image came from. It does, however, say that readers have sent in tips saying that their recently received Nexus 4 is different than the shinier model that previously shipped. “No matter what angle you hold it at or lighting conditions, it seems to have lost the glitter effect,” the post reads. This reportedly altered design has also sparked concern in the XDA developers’ forum, where users have shared varied opinions on the alleged change. Some have said that the new back plate could make it less susceptible to cracking, while others appreciate LG’s creative hardware design. This plain glass back cover has only appeared in the most recent batch of Nexus 4 handsets, according to the report. If these rumors hold up to be true, it’s possible that this could be an isolated incident only affecting certain Nexus 4 smartphones. Only time will tell if Nexus fans will have to adjust to this new aesthetic style, but we’re sure to hear word from Google or LG if this persists. With a smartphone in such high demand, it’s unlikely that officials would fail to acknowledge a significant change in design. Let’s not forget that both Google and LG were overwhelmed by demand for the Nexus 4 following its launch, so perhaps this purported design change could be attributed to a shortage of materials.